After changing the way we mock movies, Mystery Science Theater and RiffTrax’ Mike Nelson bring the shtick to the multiplex. Mike Nelson (in blue): one of the brains behind MST3K and, now, RiffTrax. If you have not watched Mystery Science Theater 3000, you are not as smart or as funny as you could be. You also do not understand film or sarcasm as well as you might. Throughout the ’90s — an otherwise very serious time — MST3K made relentless fun of some of the worst films ever made, more or less creating the watch-a-video-and-mock-it genre of television now inhabited by Talk Soup, Tosh.0 and 90 percent of YouTube. In doing so, it changed the way we interact with the movies. In 2007, Time named it one of the 100 best TV shows of all time. Michael J. Nelson did not create Mystery Science Theater, but he was its lead writer and primary visionary. And in 2006, he created MST3K’s karmic offspring, RiffTrax — downloadable commentary tracks that sync with blockbuster films. Now, rather than just making fun of films from our parents’ childhood (they still do that), Nelson and crew get to mock Star Wars and Twilight. They will live-Riff the 1962 anti-classic Jack the Giant Killer — via satellite from Nashville — at Regal NorthTown next Wednesday. The Inlander spoke with Nelson about being parroted by college kids, using humor as criticism, and creating a generation’s voracious appetite for snark — then feeding it. MST3K and RiffTrax both have big cultural footprints. Did you guys expect that? Not at all. It really started the way it looks — a bunch of guys getting together and trying to make something that we all enjoyed and hoping that it caught on. After the first season, the network said, “We’re going to see how this goes.” I was like, “What? Why don’t we just get to continue? It’s obviously so much fun for us.” I just assumed that was how business worked. You get paid money to do fun things. When did the popularity hit home for you? I remember being really excited when we got fan mail. We’d go to lunch and read them and two of them would be, “Would you guys shut up and quit talking over my movies.” Then there’d be one who’d say, “This is really, really funny. We’re getting together with friends.” Then that really grew and it became impossible to read all of it. That was cool. Also when I heard — just kind of walking through a college campus — I heard a bunch of guys repeating a line from one of our movies. I thought that was pretty neat, to discover it like that in the wild. Did you guys realize that you were helping to create an entire generation of snark addicts? I didn’t, and it’s something about which I have mixed feelings. Sometimes when we get [the] criticism “Why can’t you just enjoy the movies on their own?,” Part of me says, “I get that.” I understand it. At the same time, it’s pop culture, and you don’t have to take anything that’s handed to you at face value. So I — I’m of two minds about it actually. I think I’ve seen Mitchell five times — and in retrospect, I think Mystery Science Theater helped me develop a sense of what good films are, by showing me what good films aren’t. Was that intentional? So I never minded pointing out the stuff that was really, really poorly done. A lot of times, we had to edit a film [for time]. When we edited it, we edited it so it would make more sense, because we knew that would help our cause. The movies, oftentimes, are actually much, much worse. You’ve gone from old, cheap-to-license films to RiffTracking Twilight. What was the desire there? To be more current with your cultural criticism? Part of it was just based on people all those years saying “Why don’t you do this?” It worked so well with modern films, when we would try it, that we wanted to keep going with it. So now we do a mix of old, culty stuff, shorts and then we hit the big targets. We’ve found we can make roughly anything work — so it’s nice to be close to the audience and have them go, “You guys have to take on this.” And we can respond to it, and if people don’t like it, or it doesn’t sell, you can kind of move on. There isn’t nearly the investment in doing this as there is in making an episode [of a television show]. For all its quirks, MST3K was a traditionally distributed TV show. RiffTracks is very web 2-point-whatever — straight to the people. There’s a big, creative fan community around it. Are you a convert to that model, or do you miss making a TV show? A little of both, we used to talk — Kevin [Murphy] and Bill [Corbett, his partners in RiffTrax] and I, for years — we would go out and pitch, and it was frustrating. We’re a really tough sell [to TV]. How do you explain what we do unless they know what it is? It always seemed like there was going to be a point where we can do this on the Internet and reach the people who actually want it and leave the rest of the people. You don’t have to be big. On TV, that’s the thing. You have to be pretty big to survive. So I’m comfortable with that part of it. That said, I miss a big production with a lot of people around. We had a really, really great group, and it’s a lot of fun to make TV. This has aspects of that as well, though, so … all told, I prefer this. How many times do you watch a film before you riff it? Probably averages like 10 times. Maybe more than that. Each time going through it is so very slow. And for this live show, we’re going to be going over it a lot more than that, because it’s kind of a different experience. Jokes have to breathe more, they have to be more direct. So that’s a different thing. You keep going back and questioning, “Is this the best thing we can do?” So for that, I’d say, many, many more viewings than 10. Do you get sick of watching these films at the end? But the filmmakers — the things they do wrong — at the beginning, they may slightly irritate you, they may make you laugh. By the end of it, a writer will usually explode and go up to the screen and start giving it the finger, screaming at it. We’ll lose one writer per session. 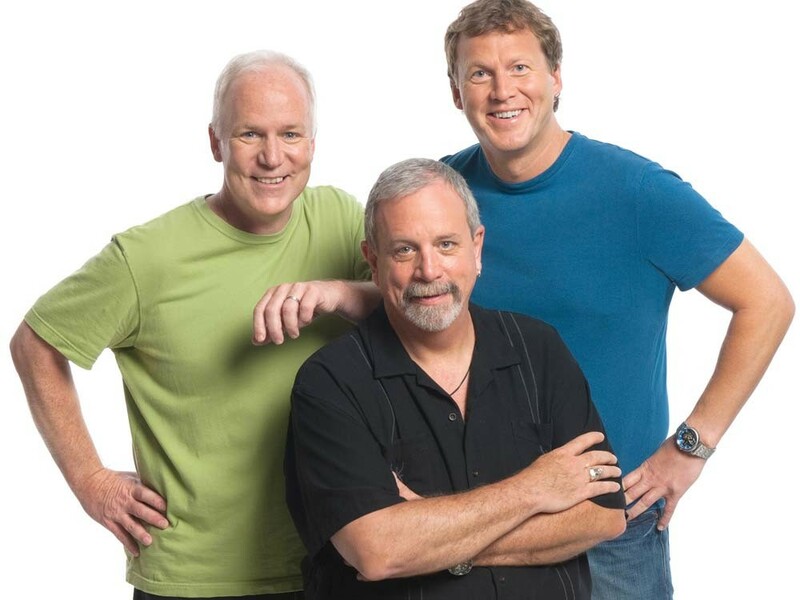 Once you’re done writing — for non-live RiffTrax — do you record it all in one go? It’s pretty much right through. There’s a few things we go back and correct, or if a reading is wrong and sometimes even at the last second, we’ll discover we have a fact or a pronunciation wrong, but for the most part, it’s all prepared once we get into the studio so we can just relax and, you know, have fun with the performance. Intentionally try to throw each other off in a good way, you know, to keep it fresh. I imagine it’d be difficult after watching a film 10 times to pretend you’re watching it for the first. So, live RiffTrax events like the one at Regal on Aug. 17 are live broadcasts into theaters, right? Yeah, We’re in Nashville doing it onstage, and then it’s broadcast to these 500-plus theaters. I guess that’s kinda like doing a live TV show, where there’s this studio audience and then thousands and thousands of people watching somewhere else. Does that make it more nerve-wracking? It’s a little bit [more]. I mean, there’s something about having the stage manager telling you how many seconds until the satellite uploads it — yelling, “Get out there! Go! We’re on the clock!” It adds a little extra edge that dissipates by the time you get out there, but yeah. Especially the first time we did it, I thought, “Oh God.” And it’s true that anything can happen at any point onstage. So, it does add a little extra edge, I won’t lie. You dedicated the middle part of the decade to writing a few books. Are you going to return to that at any point? It wasn’t a totally happy experience for me. The actual creative process was good, but the business was going bad at the time I was doing it. My publisher closed down. My contract got sold to someone else who didn’t care about it. So, you know. A lot of people have those stories. It’s business, but I’m not real eager to get back to it because of that. I still have a sour taste. But film and screenwriting and other things, I’m going to be doing, so ... So making films is next then? Great. [pause] Are you in the middle of something right now? I, uh — you know, I hate that, where you can’t say, but that’s unfortunately the way it works. It’s fine. People like to keep their projects close to the vest. I don’t like to — to me it doesn’t seem like it hurts anything. But, you know, the companies like to “control the message” — another phrase I hate … but ... So, just being on the end of it, talking to people, you want to converse, of course you want to tell people “Hey, yeah, this is what I’m working on.” To not be able to [talk about it], to me, is very frustrating.